I do believe we still have our old crib mattress. It has serves us well and now has a rip of sorts down one side. With our next child, we'll definitely need both a crib and mattress. Would you take a hand me down crib set, or would your prefer to purchase your own? Yes or no, you can enter for your chance to win this Newton Rest Crib Mattress #Giveaway ARV $295! 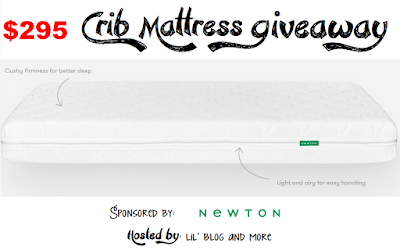 Welcome to the Newton Crib Mattress Giveaway! A huge thank you to the sponsor of this giveaway: Newton Rest. David's DIY, Michigan Saving and More, Couponing Momma Giveaways and Reviews, Love, Mrs. Mommy, Green Grandma, Our Piece of Earth, Babs Projects, Beautiful Touches, DIY Danielle, and Deliciously Savvy. When it comes to baby, it's all about the best. You want to make sure you have the best products out there, for the safety, and comfort of your baby. That is where Newton Rest comes in. See, Newton Rest doesn't have your typical crib mattress. The crib mattress has an added feature. This mattress, is a breathable mattress. 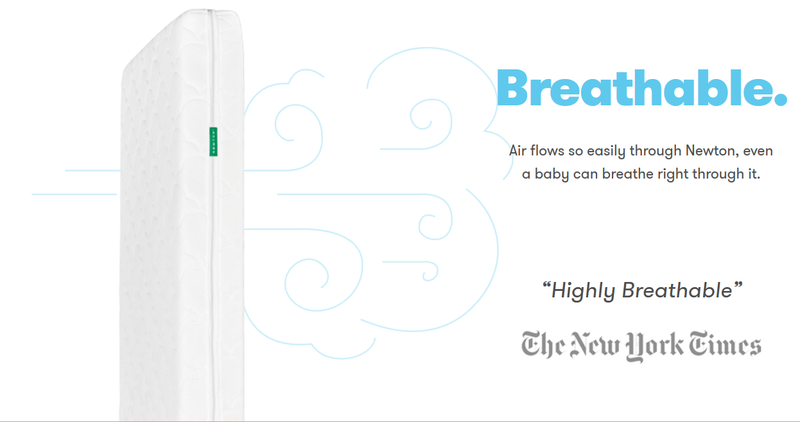 That's right - Newton Rest crib mattress is a mattress that babies can breath right through. Which reduces the risk of suffocation, and SIDS. 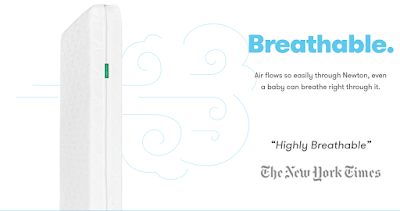 According to an independent, blind, scientific study, with other non-breathable crib mattresses, the other non-breathable mattress increased suffocation risk by 17 percent! Also because of the breathable feature, Newton's crib mattress reduces overheating, and reduces the chance of bacterial and fungal infections - Because the Newton Crib Mattress is 100% washable. That's right! You can actually remove the cover, and then put the core of the mattress directly into the shower or tub, to wash it. This is the best possible way to remove potential, harmful bacteria. When it comes to the safety of baby - That's where to splurge a little extra. With as much time as your baby will spend in his/her crib, it's really a place to make sure you have the best, of the best. And Newton Rest has just that. Disclosure: The bloggers involved in this giveaway were not compensated, and are not responsible for prize fulfillment. The prize is provided via the sponsor. Must be 18 years of age or older to enter this giveaway. This giveaway starts November 5th, 2015, and will end on November 24th, 2015 at 11:59 pm. The winner will be emailed, and have 48 hours to respond, or a new winner will be chosen. Once a winner is drawn and confirmed, the name will be announced on the GiveawayTools form.